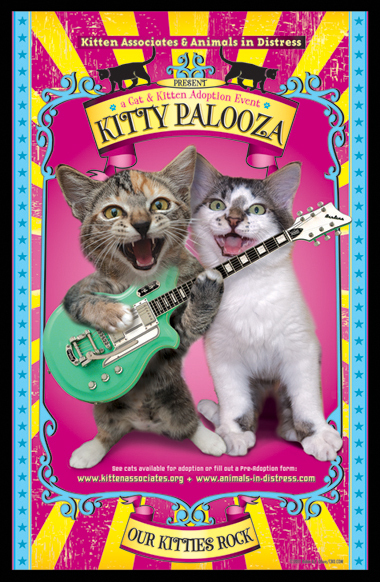 Home > JOIN US AT KITTY PALOOZA! 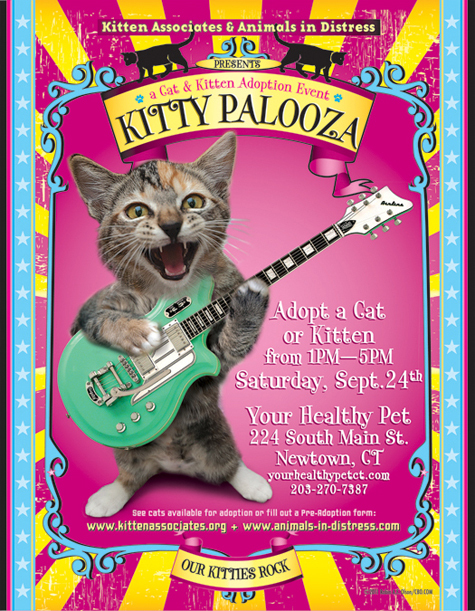 My rescue group, Kitten Associates , partnered up with our friends, Animals in Distress to bring you, Kitty Palooza, our cat & kitten adoption event! I know most of you don't live in the area, but I thought you'd get a kick out of the flyer I designed for the event. It features Amberly's daughter, Blaze! She really knows how to rock!